Purchase your Ragtee Gift Card for athletes, coaches and families. Customers can place their order online anytime 24/7 year round. Simply select the Gift Card amount and custom personalize your cardholder with your store logo. Then pay instantly using Paypal or any major credit or debit card. Not sure what to purchase? 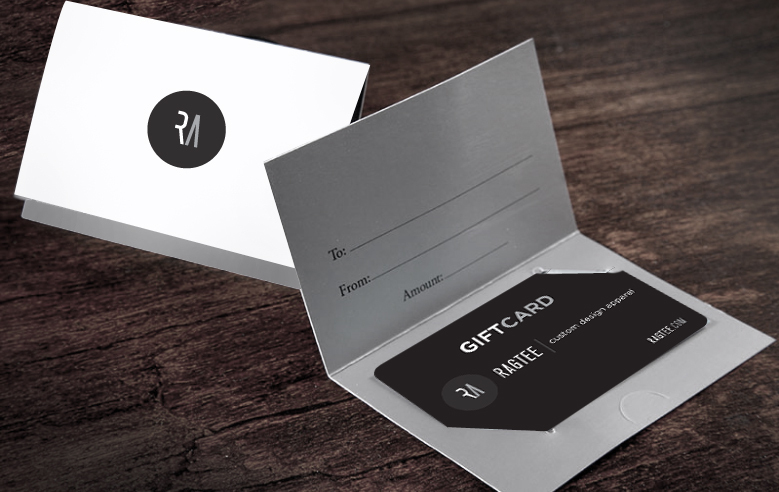 Get one of our customized Ragtee Gift Cards for your favorite athlete or student starting at $20.00. Great gift idea for coach gifts, birthdays, holidays and don’t forget stocking stuffers. Need a gift in short notice? Our gift cards ship to you in 1-3 days business days depending on your location to Ragtee. Contact us via email for turnaround time to your location. Customized Cardholders Ragtee Gift cardholders can be printed with our store logo or customized for your individual store.